There’s nothing on my Crochet page . . .
. . . because it’s been almost eight months since I last held a crochet hook – and it was only a few days ago that I picked one up again. It was then, that I realised just how badly I’d been depressed since I’d had to fill in the forms that would begin the changeover of my DLA to PIP, which came on 24th December, 2016 (and wan’t finished with, until April, 2017) – right at the same time that my Mum was rushed into hospital, seriously ill (she died on 1st January, 2017). It’s been a while since I posted about my crochet, probably because I’ve been so busy either trying to finish Crochet-a-longs, or CALs as they’re known as in the crochet world, and also because I’ve been desperately trying to learn what I could about British Politics – I’m not sure whether to laugh, or cry, that I’ve become involved right at this time, but I’m going to persevere, which means doing an awful lot of reading! Fortunately, there are some wonderful Bloggers around, that lay out what’s happening, and what it means for us all, so I’m now slowly begining to understand where the UK stands politically – and, boy, it’s frighteneing! The next project I finished, was a Wrap, designed by a wonderful crochet designer called Annelies Baes. You can get the pattern free at this link: Flight of Fancy. The CAL was called Scheepjes Flight of Fancy Wrap, and it was done in weekly increments. I started the project on 10th June, and finished it on 1st September. I was really taken with the wonderful yarn used here, by a company called Scheepjeswol . With this CAL, I was using one of their yarns, called Scheepjes Linen Soft , which comprised of 47% Cotton, 27% Linen, and 26% Acrylic, which made for a strong, and durable, yarn to use. My next project took me a bit of time, as my health was becoming quite dicey again, and I was still working on another CAL, too. My next project, was the CAL I had started on August 2nd. I didn’t actually finish this until October 31st. This was another Scheepjswol CAL, designed by another amazing Designer that I love: Julie Yeager. This time, the yarn used was Scheepjes Stonewashed XL, a wonderfully soft, but strong, mixture of 70% Cotton, 30% Acrylic. Here’s the link to my Ravelry Project Page, and the colours and amounts used for it: My Summer Mosaic Afghan. I have to admit to being totally exhausted by the time I finished the Afghan, and it wasn’t until almost mid-November before I took up my crochet hooks again, and that was because I had received my first box, from a company called Little Box of Crochet. I’d come across them via my monthly crochet magazine, and the story behind their starting caught my attention, so I decided to subscribe for 6 months, to see whether I would enjoy it. The first was Aminita Muscaria, or Fly Agaric. I finished this on November 10th. The second was Stropharia Aeruginosa, or Verdigris Agaric. I finished this on December 12th. The third was Hygrocybe Persistens, or Wax Cap. I finished this on January 15th, 2016. On the 19th of November, my Dad died. I was devastated, as I was too ill to travel the 360-odd miles needed, to get back to my family home, to attend his funeral. I really didn’t know what to do with myself, and felt helpless that I couldn’t say my goodbyes to him, nor comfort my Mum the way I wanted to. I spoke a lot to Mum on the phone and, wonderful woman that she is, a few days after Dad’s death, she suggested that I crochet something that reminds me of him, and send it to her, so she could put it in the coffin with him, and so that I knew there was something of mine with Dad in his rest. My first thoughts were of his being Irish, and that special humour he had, that every Irish person I’ve met seems to be born with, and so I decided to crochet symbols of his Irishness – one for me, one for Mr Night Owl, and one for our daughter. I looked through all my thousands of patterns, and settled on a combination Shamrock/Four-leaved Clover for myself, a Leprechaun for hubby, as he’s as mischeivous as one himself, and a Pot-o-gold, with rainbow, for our daughter, as she has always been our symbol of wealth, happiness and joy. A week had gone by this time, and I worried about getting them done in time for the funeral, but I managed to finish them, one each day, by the 29th, where I then quickly packed them up, and a friend sent them, post-haste, to my Mum. Fortunately, they got there in time, and that’s where they lay now, keeping my Dad, that funny, chronic, joker company. I have to admit to finding it hard to concentrate after that but, in early December my Little Box of Crochet, for that month, arrived. Purely for distraction, I decided to give it a try, and the design came from Heather Collins, whose Blog, Pink Milk, was one of the favourites of the Little Box team, and was something that caught my fancy, too, and so I thought I’d give it a go. And so the wanderer returns . . .
I’ve been keeping all the pictures of my crochet projects in 2 folders – one folder being of the things I’ve already posted on here, and the other folder, of the things I’ve yet to post. I had a look at the latter earlier, and couldn’t believe just how much stuff there is in there! I’ve got nearly 50 items I’ve made since 2014 – including some large projects – and it amazed me just how much I’ve been able to do, despite my health problems getting worse. Because of the time since I made them – and not noting down all of those impportant details for everything – I can only give you the details I can recall, so do please forgive me? My daughter’s boyfriend was complaining of the cold, so I then went on to make him some fingerless mitts. I used scraps from my yarn stash – probably red heart, as I’ve always got that in stock – and I used a pattern by HappyBerry to make the half-fingerless gloves he wanted. 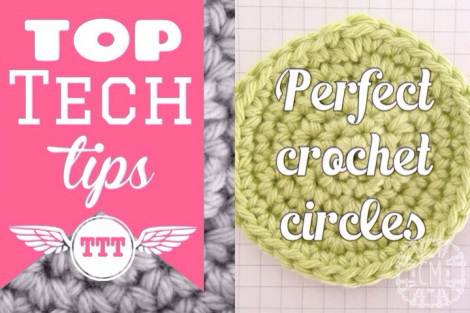 I’ve always had problems with crocheting circles, and this seems a much better idea. Go along and have a look-see!